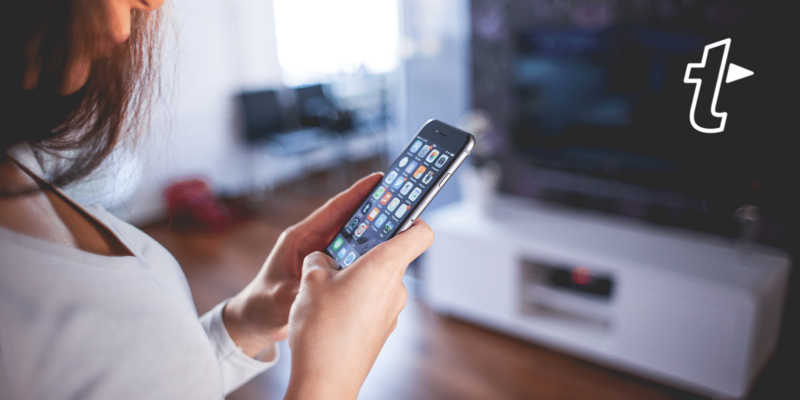 Smartphones are some of our most commonly used devices. Think of your phone like a desk in your pocket – it needs some organizational love! If your phone is unorganized, it can be difficult to find your apps when you need them. And if you need directions fast or need to do a quick calculation, it’s frustrating to search an endless wall of apps. Here’s how to organize your smartphone apps. From there, sort by “Last Used”. Select an app you no longer need and hit “Uninstall”. Not everything you used a while ago will need to be deleted, but it will highlight the apps that have been lying dormant. To save money, unsubscribe to any app subscriptions you don’t need. Here’s how to unsubscribe to apps on Android and iOS. Bonus Tip: Check your other subscriptions to see if you can cancel them and save even more. Many streaming services and magazine subscriptions offer free trials and will automatically charge thereafter, so check everywhere to make sure you’re not paying for a service you don’t use. A good way to combat this in the future is to add subscription trial end dates to your calendar, with reminders to cancel. Ideally, the apps within the folders will be organized in order of how often you use them. 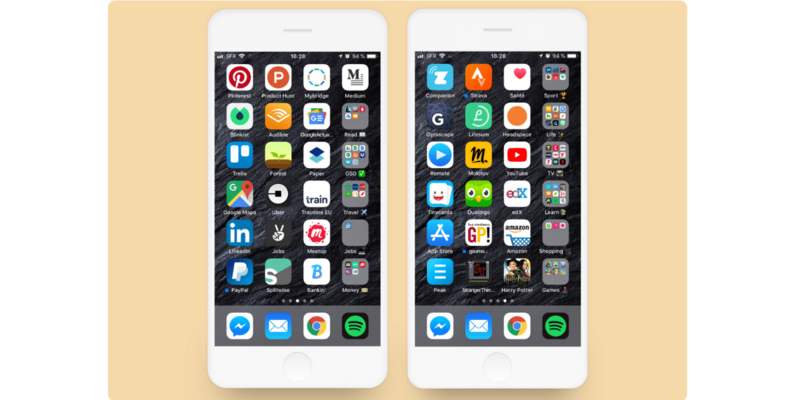 There are benefits to having a one page home screen, including a feeling of minimalism and fewer pages of apps to navigate. But it’s not for everyone: some find it difficult to locate apps and don’t like relying on search. 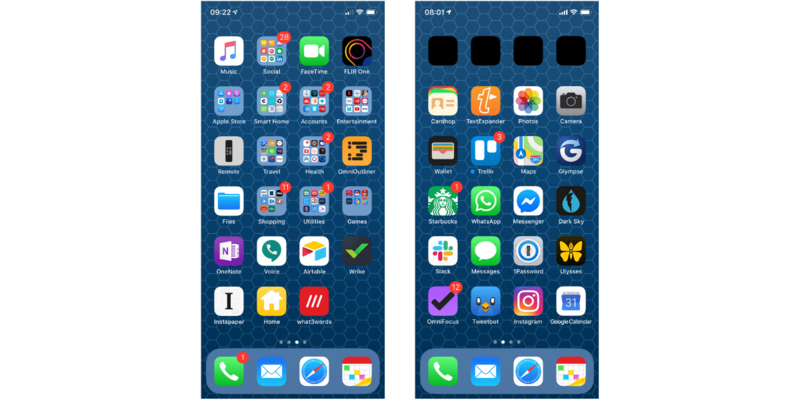 If you’re interested in trying it, read the case for a single page home screen. If you have a large number of apps, one page per category may work for you. 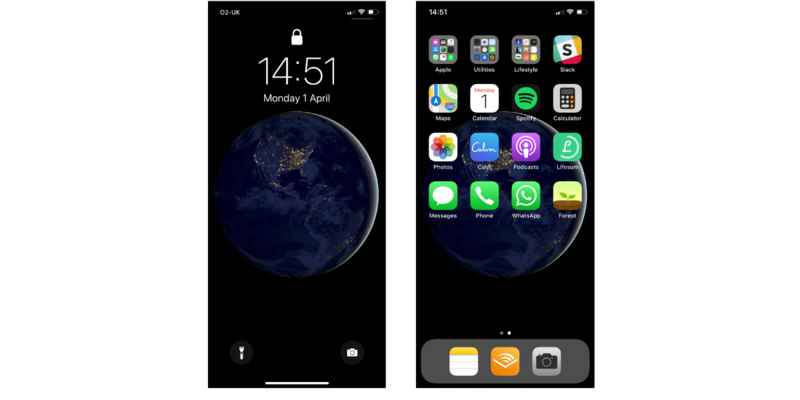 For example, your home screen can be home to your frequently used apps, the second page can be work apps and relevant folders, the third lifestyle and travel etc. This method involves using each line as a different category. Select your top three most frequently used apps in that category to appear on that line, along with the folder with the remaining relevant apps. Image: Alexandre Levacher via Medium. Read more on this method in Alexandre Levacher’s post on Medium. If your priority is reaching apps with ease, consider an organization method that prioritises use. Keep your most-used apps close to the bottom of the screen, so you can reach them easily, even when holding your phone one-handed. The idea that the most used apps should be at the bottom corner where your thumb can reach them. This home screen shows apps radiating out from the bottom right corner based on how often they’re used. The farther the thumb has to reach, the less important it is to get to that app without repositioning my hand, or tapping with with a different finger. If the top row is completely out of reach, consider David Smith’s trick using invisible icons to blank out the top row. You can also access the top row by using reachability features. Enable reachability on iOS and Android will pull the screen down so you can reach those far away icons. Unsubscribe from your unused services! Nobody likes spending money on something they don’t use. How Do You Organize Your Smartphone? How do you keep your smartphone apps in order? Let us know @TextExpander and in our group on Facebook.